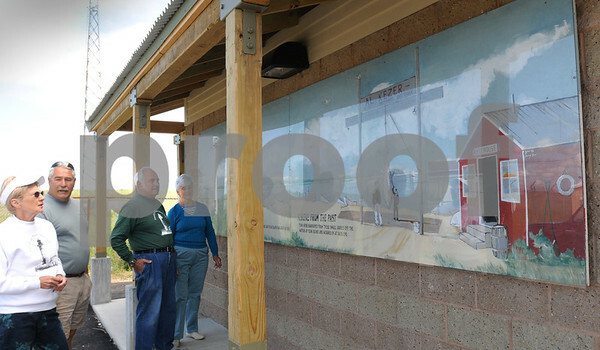 Newburyport: A new mural hangs at the restrooms at the parking lot at Plum Island Point depicting the area. From left, Barbara Kezer, Ron Barrett and Jim and Pat Frey. Bryan Eaton/Staff Photo Newburyport News Tuesday June 16, 2009.